Just as there’s more than one way to skin a cat (not that we recommend any of them), there’s more than one way to do internet marketing. With the increase in smartphone and tablet ownership, along with greater access to fast, mobile internet, marketers can now reach just about every consumer in America through some form of email marketing, SEO or content marketing, display ads, social media and so one. Though all methods are useful, they aren’t equal in effectiveness. A recent study asked marketing professionals ranked each tactic email and social media are ahead of SEO in the rankings. This article will discuss some of the other findings of the study and what they mean for marketing. 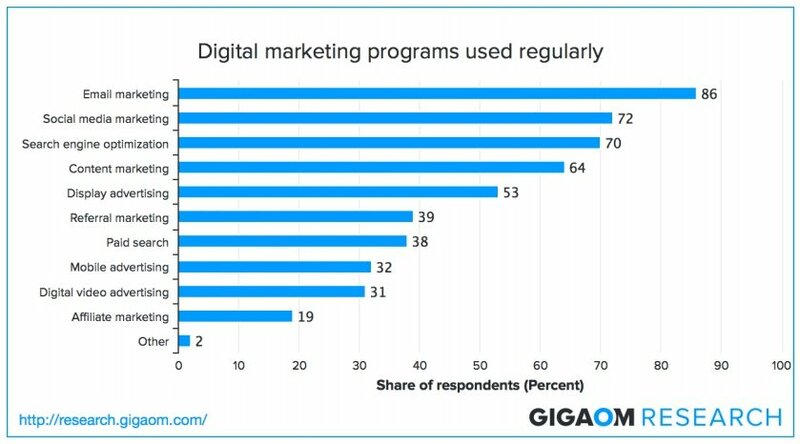 Gigaom and Extole recently released a study based on the survey responses from 300 digital marketers in the U.S. of companies of various sizes. They were asked questions about which marketing tactics they used, their plans for the future, and how effective they felt each tactic was. Despite the amount of attention marketers give to Google and Facebook email was the digital tactic used the most often by the respondents. Email was used by 86 percent of the respondents regularly. Only 72 percent said the same for social media marketing, 70 percent listed search engine optimization and 64 percent claimed content marketing. The reason email ranked so highly was illuminated by some of the other responses. When asked how effective each tactic was at helping with the core functions of marketing (brand awareness, customer acquisition, conversion and retention), email’s rankings scored higher than the other tactics. The Gigaom study found that more companies plan to increase their social media spending than any other internet marketing tactic. 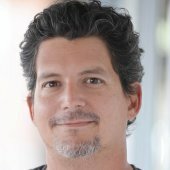 Gigacom reported more than a third (38 percent) planned to increase social media, compared to 28 percent for SEO and 25 percent for email marketing. For marketers who want to use the tactics the big brands use, they should note that companies with digital marketing budgets over $1 million are more likely to foresee significantly increasing their spend on social media marketing. Those interested in what business owners like them are doing should note smaller businesses plan to spend more on content marketing and email marketing. Interestingly, the majority (52 percent) of the surveyed marketers said they found it difficult to measure the ROI of social media. As was mentioned in another article on this site, there are a lot of useful metrics that marketers can use to quantify the value of their social media efforts. That aside, the fact that so many marketers plan to increase social media campaigns shows that the value of social media is clear to them, even if they can’t seem to put it into numbers. Just about as many people in the survey (51 percent) acknowledged the benefit of being able to connect with their customers directly on a regular basis. The fact that social media has grown in importance shouldn’t come as a surprise. There are a few simple things that made this development inevitable. First, more people use and spend time on social media than in the past. Social media apps are the most popular on mobile devices and most users check at least one of their accounts every day. The statistics on social media marketing have been discussed elsewhere on this site. There are many things marketers can learn from this report, but one key thing to remember is the importance of integrated marketing. It’s good to note which tactic ranked the highest, but don’t forget that all the tactics had some benefit. There is no magic bullet in marketing so business owners shouldn’t think that just because they’re using email marketing or social media that they’ve reached every potential customer. Read this article for more evidence on the value of integrated marketing.